Isaac Newton was an English physicist, mathematician, astronomer, natural philosopher and alchemist, regarded by many as the greatest figure in the history of science. In optics, he invented the reflecting telescope and argued that light is composed of particles. In mathematics, Newton shares the credit with Gottfried Leibniz for the development of calculus. Newton’s laws of motion and universal gravitation are taught in every physics classroom. He said, “Gravity explains the motions of the planets, but it cannot explain who set the planets in motion. Yahweh governs all things and knows all that is or can be done.” His scientific fame notwithstanding, Newton’s study of the Bible and of the early Church Fathers was among his greatest passions. One Church doctrine Newton would not accept was the doctrine of the Trinity. In England, denying the doctrine of the blessed Trinity was a criminal offense punishable by imprisonment. When Isaac Newton and John Locke speak of God, they are referring to the God of Israel, who is Yahweh. In their quotes, I will replace the word God with the actual name of that God, which is Yahweh. Tiner, J.H. (1975). Isaac Newton: Inventor, Scientist and Teacher. Milford, Michigan, U.S.: Mott Media. Hopton Haynes was born about 1672. Haynes entered the service of the Mint as weigher and teller in 1696 or early in 1697, almost at the same time as Isaac Newton's's appointment as Warden. He was promoted to be assay-master in 1723. 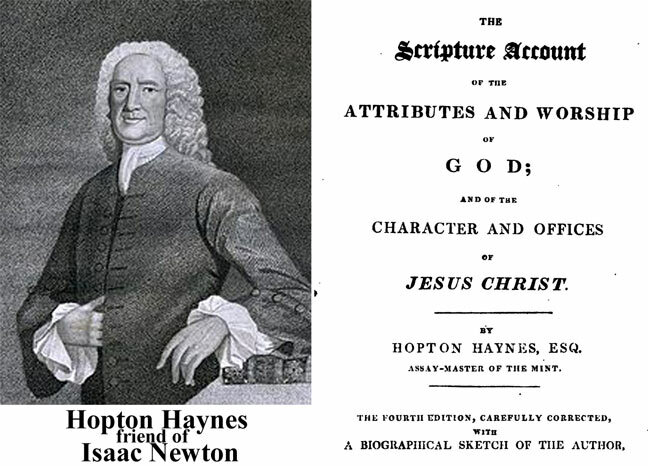 Haynes was close to Newton, who died in 1727. He was enployed to translate into Latin the two Letters of Sir Isaac Newton on the true reading of 1 John 5:7-8 and 1 Timothy 3:16. 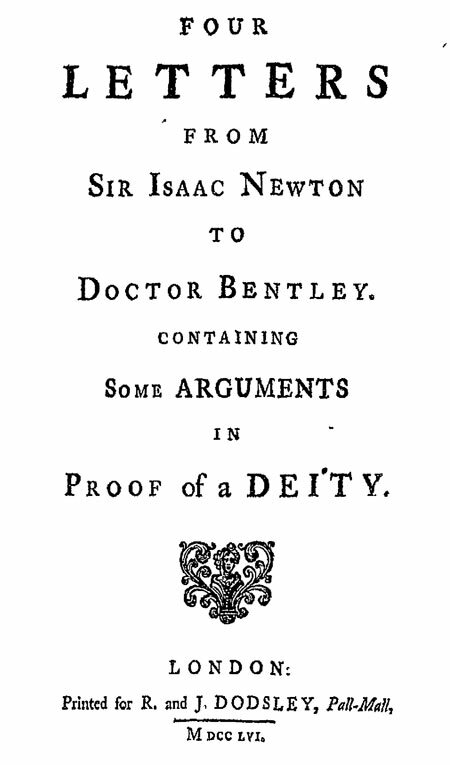 It was through Haynes that William Whiston, in 1712, communicated with Newton on the subject of baptism. Richard Baron described Haynes as a Unitarian.